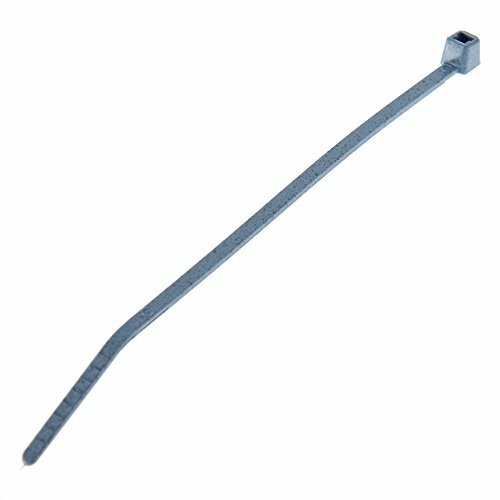 This Panduit PLT4H-L86 cable tie is made of metal-impregnated nylon 6.6 for identification by metal detectors in food, beverage, and pharmaceutical industries. It has a minimum tensile strength of 120 lb. and a bundling diameter range of 0.25 to 4.0 inches. This light blue-colored cable tie complies with Restriction of Hazardous Substances (RoHS) regulations and is suitable for bundling products for use with health and safety inspection equipment. Panduit manufacturers power, communications, computing, control, and security system products. The company, founded in 1955, is headquartered in Tinley Park, IL. Minimum tensile strength of 120 lb.